The RAIDaptive program was designed to bring the sport of diving to persons with disabilities by adapting the RAID Open Water 20 course to the abilities demonstrated by the diver with disabilities. The title, RAIDaptive, is a combination of RAID and Adaptive to identify to the diving community the intent of the program. Designation 3 (D3) - The student must be able to breathe continuously and monitor gas supply. The student will require assistance with all other aspects of diving. 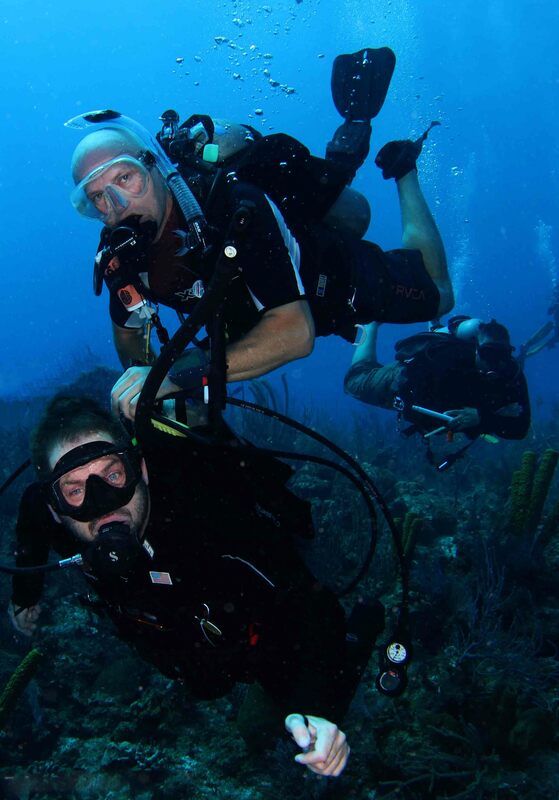 To become a certified RAIDaptive Open Water diver, the students need to have basic swimming skills, be comfortable in the water, and should be in a good overall health, have a mature attitude, sound judgement and self-discipline to follow the guidelines that they will be taught for safe diving. Minimum of four open water training dives required. Conducted by our RAIDaptive certified Instructor/s. All open water skills have been acknowledged and accepted on-line through the DiveRAID web site by both yourself and your instructor. The RAID Dive Center has confirmed certification on-line through the DiveRAID web site.